if paid in full in 6 months on purchases of $99 or more. 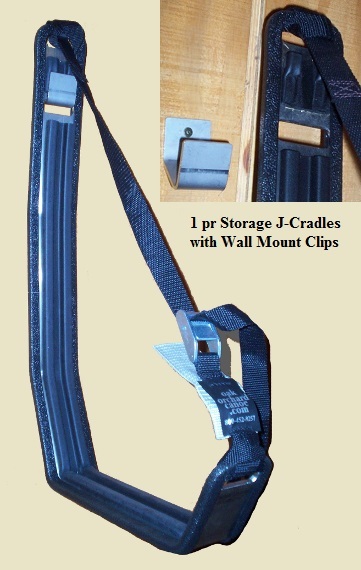 Stainless Steel Stacker J-Cradles now available with new Wall Clip kit!. * Don't miss our Closeout Accessories SALE. paddles, footwear, kayaks, canoes and more!! Many items 20%, 25%, some up to 50% OFF regular price. Click here for closeout accessories at our Rochester store. Click here for closeout accessories at our Waterport store. at our Waterport and Rochester stores. Hundreds of Canoes, Kayaks, & Paddle Boards on display. 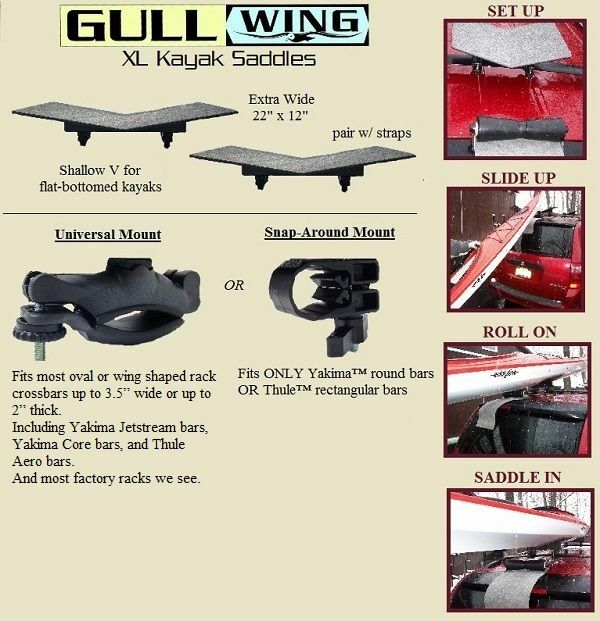 • See our on-line inventory for the BEST canoe or kayak in YOUR price range. Jackson Kayaks, Hobie Kayak, Hobie Eclipse, Hobie Paddle Boards, Bounce, C4, Pau Hana, Current Designs, Wilderness Systems, Perception, Dagger, NuCanoe, Pelican, Wenonah, Old Town Canoes and Kayaks, and more! Please visit us for many in-store Deals this Week. We have Hundreds of Kayaks, Canoes and Paddle Boards in stock and on Sale. Announcing new, PROMO pricing on SELECT Canoes, Kayaks and Paddle Boards. You may notice some of our canoes, kayaks and boards have two SALE prices... One price if you are just buying the boat, and another even lower PROMO price when buying the boat plus a qualifying accessory purchase. We have Hundreds of Kayaks, Canoes and Paddle Boards in stock. on select Canoes, Kayaks AND Paddle Boards. WE call these CLOSEOUT or CLEARANCE models... Scuff marks are very common in shipping certain models from factory to our stores. * Don't miss our "CLOSEOUT SALE". Lots of quality gear to pick from too.... See our Closeout Accessory list. Note: these closeout items are for sale in our stores, OR you may order by phone. Click here for closeout gear at our Rochester store. Click here for closeout gear at our Waterport store. - All previous sales excluded. -No cash value- May not be combined with any other discount. New "STREAK 9.5gtx" kayak by Perception. Great Stability and durability at a CRAZY Low Price. 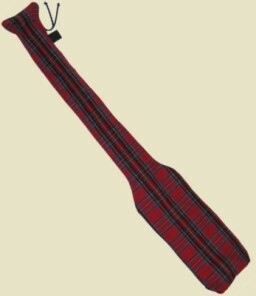 One special craft that is easily paddled on lakes OR creeks. Experience amazing stability. Don't let time pass you by -get out on the water! 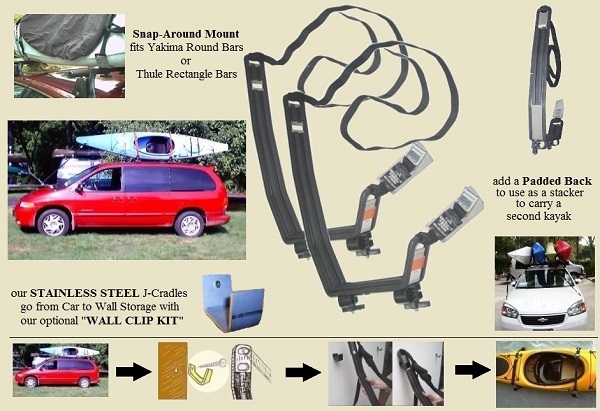 See our Percetion kayaks and Perception kayak inventory pages. Looking for that special Gift for someone special? an Oak Orchard Gift Certificate is good all year on Merchandise, Rentals or Lessons. Lessons and Tours web pages. You may notice some of our canoes, kayaks and boards have two SALE prices; one price if you are just buying the boat, and another even lower PROMO price when buying the boat plus a qualifying accessory purchase. A "qualifying purchase" means adding more than $200 of in-stock gear to your Canoe, Kayak or Board purchase. NOTE: our specs, packages and prices are subject change at any moment as a reflection of our available in-stock inventory. ✔ Announcing the Multi-Species Kayak Fishing Tournament; -brought to you by Oak Orchard Canoe Kayak Experts. Please see our Facebook post for more details. The following Kayak specials and packages are strictly as shown -no substitutions. Prior sales excluded. *Prodigy XS, youth kayak by Perception. Click on brand names below for more details. NOTE: packages and prices subject change at any moment as a reflection of our available inventory. Click on brand names for more details. The following Canoe Packages and Specials are strictly as shown -no substitutions. Prior sales excluded. 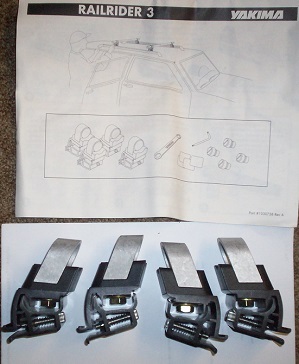 *two Scotty Rod holders with clamp-on mounts; reg. 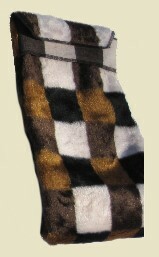 price $69.95 ea. *two SuperSeat backrest seats; reg. price $45 ea. ....call us for a quote. Click on products below for more details. 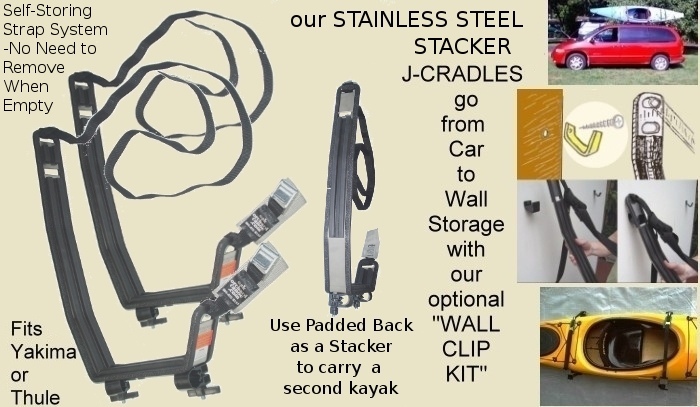 A pair of Oak Orchard's very own, Kayak Storage J-cradles with stainless steel Wall Mount Clips. 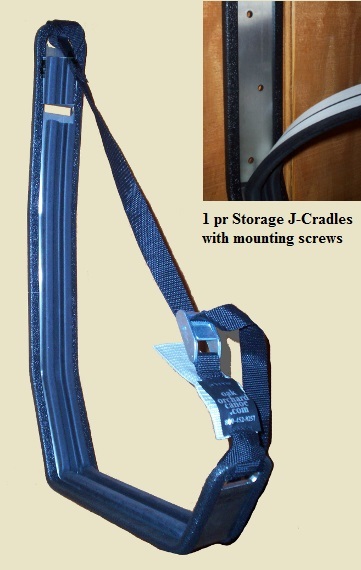 A pair of Oak Orchard's very own, Kayak Storage J-Cradles with stainless steel Mounting Screws. 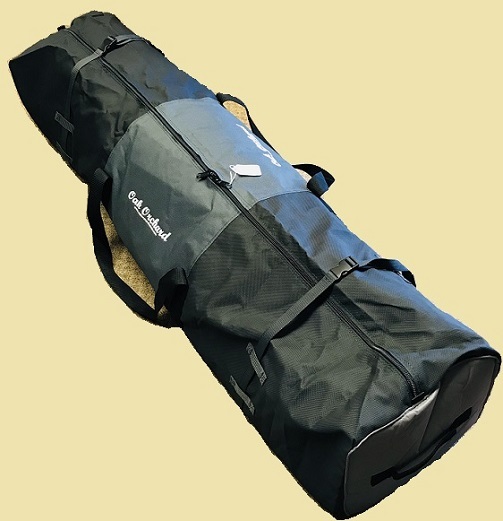 Our Heavy-duty Outfitters Bag holds tons of paddles and pfds. 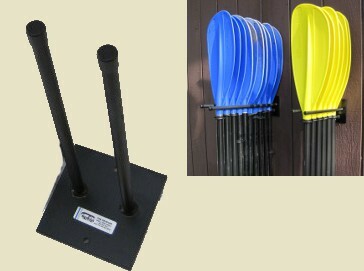 Lifts evenly from 4 points" Great for CANOES or KAYAKS! 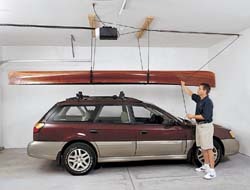 OUR BEST SELLING KAYAK CARRIER CAN ALSO BE USED FOR KAYAK STORAGE! 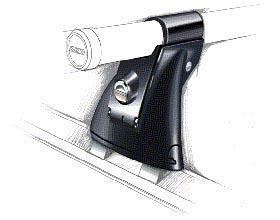 The Snap-Around Mount fits round Yakima bars or rectangle Thule bars. 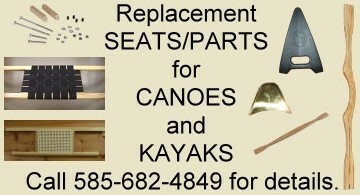 See replacement canoe seats here. Rochester Closeout items; -in stock only at Rochester store at sale prices shown. While they last! ALL ITEMS THIS PAGE are PLUS SHIPPING unless picked up at appropriate store. Waterport Closeout items; -in stock only at Waterport store at sale prices shown. While they last! Call 1-800-452-9257 or (585)682-4849 to order. ALL ITEMS THIS PAGE are PLUS SHIPPING unless picked up at the appropriate store. Closeout Walker Bay items (Waterport); at sale prices shown -in stock items only! 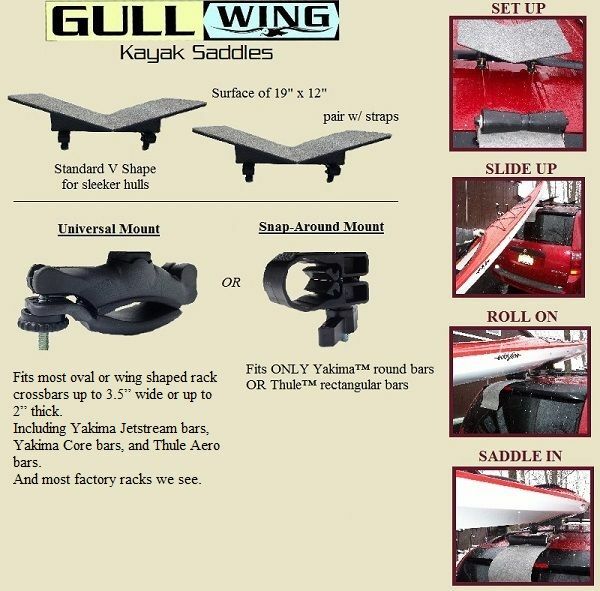 Discontinued Thule & Yakima, at sale prices shown -in stock items only! Call 1-800-452-9257 or 585-682-4849 to order. 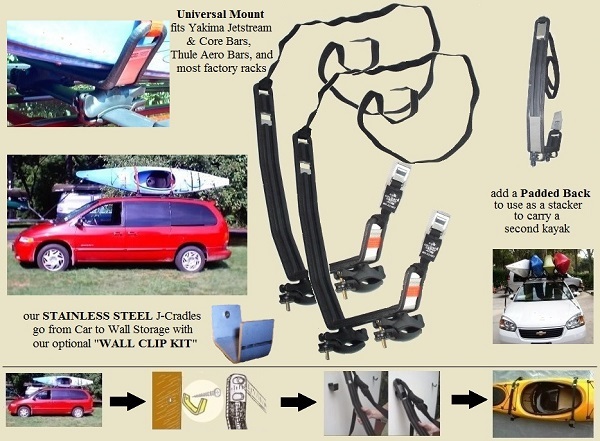 Thule Fit kits [compatable with #400 or 400xt towers] reg. $89. FINAL SALE $29.99 (Fit Kit #'s available: 1, 3, 9, 10, 13, 14, 15, 17, 45, 54, 56, 59, 60, 67, 68, 81, 82, 83, 97, 100, 105, 110, 111, 117, 136, 157, 167, 179, 236, 262, 265, 2082, 2164. (each box contains four clips and pads). SEE MORE CLEARANCE YAKIMA BELOW! BUY ONLINE or by PHONE. Yakima "RailRider 3" rack towers (cross bars not included) for use with vehicles with a factory installed rack. Note; FINAL SALE; this fits into a side ways (inward) facing track which runs front to rear on a raised rail ... See Yakima fit list (right). New in box (4 towers per box). This is a RailRider 3 tower kit, (it is not "Locking RailRider 3" and it is not a "RailRider 1". You'll notice that a Toyota 4runner is NOT in our fit list... that means it won't fit! 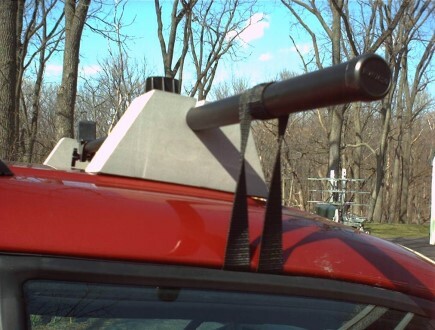 Yakima "Locking RailRider 2" rack towers (cross bars not included) for use with vehicles with a factory installed rack (slightly different than picture). See Yakima fit list (below). SKS lock cores sold seperately. 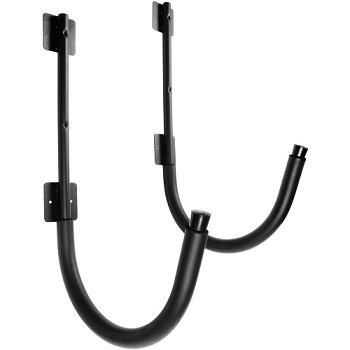 Yakima "Locking RailRider 3" rack towers (cross bars not included) for use with vehicles with a factory installed rack (slightly different than picture). See Yakima fit list (below). SKS lock cores sold seperately. Fits vehicles with a flush side rail with a groove or track on the backside, such as Subaru Forester (slightly different than picture). See Yakima fit list. Fits vehilces with a flush side rail with a groove or track on the backside, such as Subaru Forester (slightly different than picture). See Yakima fit list. US Armed Forces Veterans from Vietnam, Iraq, Afganistan save 10% off our Regular priced products.